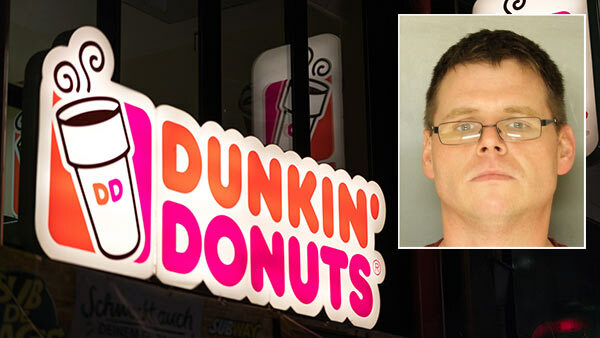 DENVER, Pa. -- Police say a Pennsylvania Dunkin' Donuts worker sold methamphetamine and heroin on the job, in some cases while wearing his drive-thru window headset. Pennlive.com reports that 35-year-old Nathan Pizzardi of Denver, Lancaster County, faces felony drug counts. Police say Pizzardi would leave the store and make sales in the parking lot or at a nearby convenience store. They say he sold the drugs while wearing his Dunkin' Donuts uniform and headset. Pizzardi is jailed on $80,000 bail. Court documents don't list an attorney who could comment on his behalf.